Progressive Metalers – Dream Theater are coming to rock The Wiltern on Saturday 7th May 2016! Bringing their tour to celebrate the release of their upcoming album 'The Astonishing' is the mighty talent that is Dream Theater! Known for their technically proficient musicianship on albums such as their highest selling gold record 'Images and Words' released back in 1992. 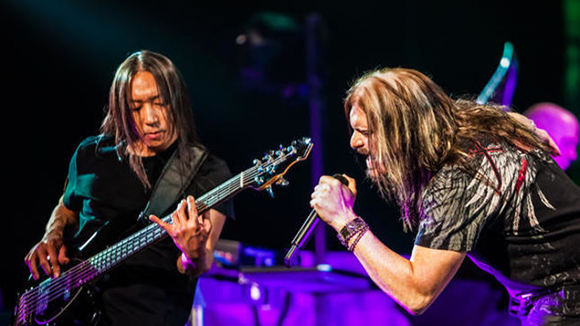 Dream Theater are also recognized for their incredible live shows which gained them a Grammy nomination for “Best Metal Performance." 2016 is going to blow you out of the water – get ready for a seriously mind blowing concert experience! "Dream Theater has been touring forever; we’ve played the different stadiums and arenas, ice halls, gymnasiums and whatever. We wanted to make this different — we wanted to make this special."